With Google's algorithm constantly evolving, changing and growing it can be stressful determining what factors are important in regards to your search engine optimization (SEO) efforts. Some aspects are obvious and routine: keywords, links, reputation. Are these the only factors that influence SEO? Many experts believe not. What other factors are deemed important? Consider one of the first decisions you make when starting a website. One that is often made too hastily without truly understanding the impact. The decision is choosing a hosting provider. 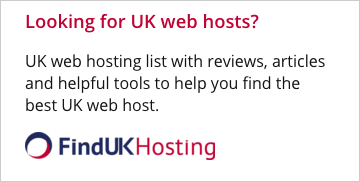 Does Your Hosting Provider Affect SEO? Your choice of host is not going to directly boost your ranking. It is not going to move you to the first page or directly attract more traffic to your site. However, a poor choice of a host can have a detrimental effect. Choosing wisely can then give you an edge on the competition. Many new site owners choose a hosting provider because they are cheap. All they see is dollar signs and they don't take into consideration the impact it can have on their marketing. By understanding the role of hosting in SEO, you can choose wisely and have the advantage. So how does it impact SEO rankings? Your website security is extremely important. Not only for your Google rankings but for your the experience and safety of your users. A website that is not secure will hurt your ranking in multiple ways. Google penalizes sites that are attacked or are hosting malware. Once visitors learn of the security flaws it will hurt your traffic and reputation. All of these factors result in a decrease in the ranking. You may do everything that you can personally to protect your website, but your host plays a role in the security of the site as well. Their role is most prominent when you are relying on a shared hosting service. When other sites on the same server have poor security, it presents an opportunity for hackers to infect multiple sites on the same server. The solution here is to move to a dedicated server. Even then, you need to find out what security measures they take to protect their servers. It may seem as though location has only recently become such a huge factor in Google's ranking algorithm, but it has actually been a metric for a long time. Google relies on location information even when the search isn't a local search. For example, if a person is making a search from within the United States, the websites on servers located in the United States are more likely to be near the top. They are much less likely to see sites from Japan or China in their results. There was a time when they used only the Top Level Domain to determine a site's location. Recently, they have started relying more on the IP address because it is delivering more accurate results. This is good news for the person making the search, but it can hurt your business if your server is in a different location. You need to know where the server is located, as well as the location of your target audience. Then choose a hosting provider that has servers in the same country as the majority of your audience. One final factor to consider is the server performance. This includes the server speed and its downtime. The overall performance of the server is going to affect the user's experience, which Google takes very seriously. Google frequently penalizes websites that have slow loading speeds, as well as sites that suffer downtime. 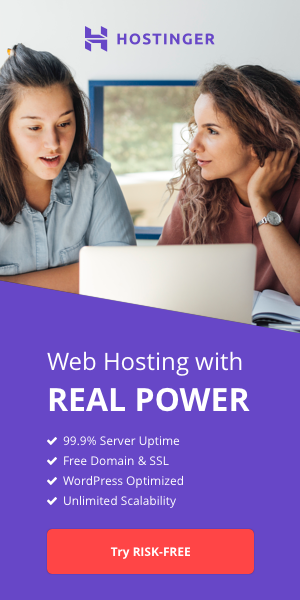 Most hosting providers have high percentages of uptime. It is rare to find a host that has less than 99 percent uptime, but that 1 percent can make a difference. As for the loading speed, there are a lot of design choices you can make to improve the speed of your site, but your host can still slow you down to a point where it hurts your SEO efforts. Using a shared server is more likely to hurt your speed than a dedicated server. A dedicated server is going to cost you more money, but it is much better for business in the long run. There are numerous high-quality hosts spread across the internet. Finding a host with the right location, quality performance, and one that takes security seriously should not be difficult. Just make sure you do your research and review each of these qualities of the hosting provider before making a decision. Otherwise, you might find your SEO campaign is not delivering the results that it should. Thomas Gunner is a successful entrepreneur and business owner. He operates ReviewFilter.com, which is a cloud based tool for Hotel And Restaurant operators that engages with recent customers via email or SMS and invites them to give feedback on their recent experience of your business.